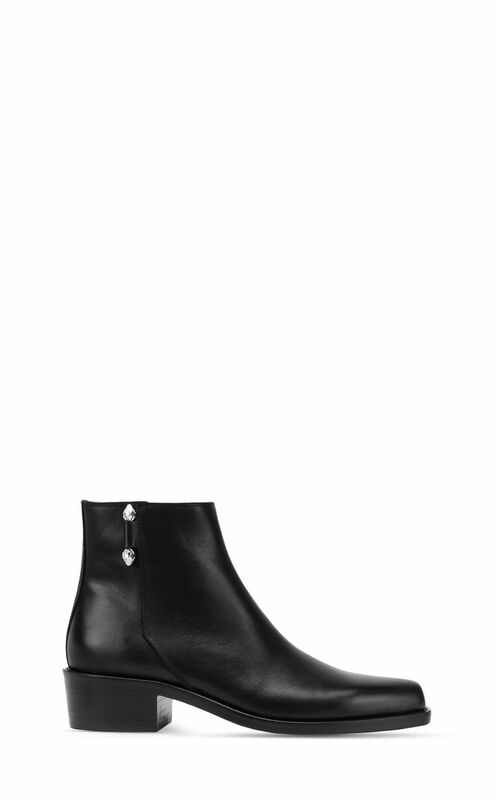 Ankle boot in 100% cowhide. 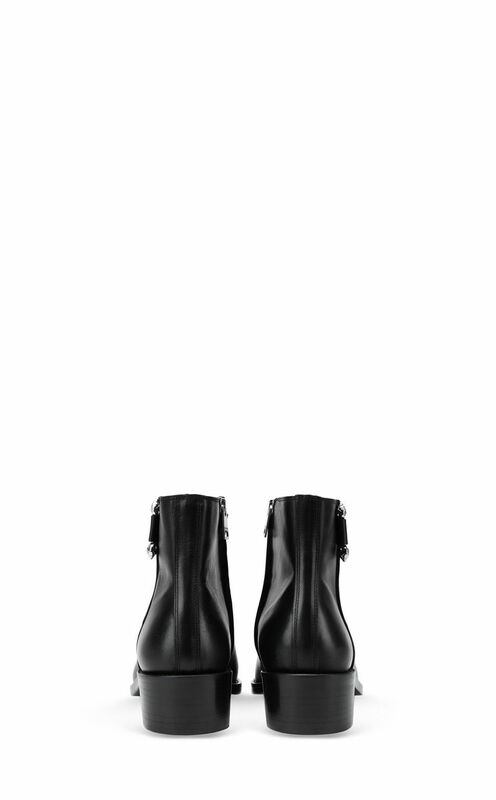 A classic style, adorned with piercing detail trimmed with two miniature metallic snake heads. 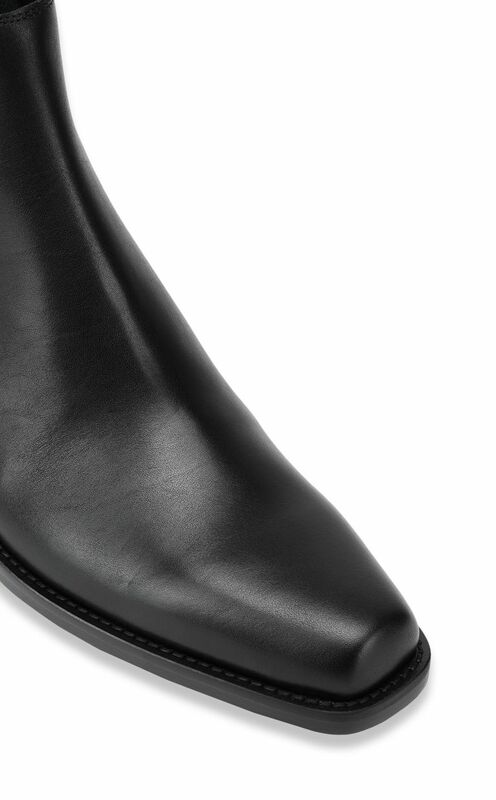 Featuring a slight heel to raise the leather sole.